The residential home owners and commercial business owners throughout the Cleveland and Northeastern Ohio area have acknowledged W.F. Hann & Sons as their favored and most trusted source of heating, ventilation, air conditioning and plumbing services for over 111 years. We are recognized for offering proficient AC service, effective productivity and improved temperature control. Moreover, we are dedicated to ensuring our clients receive the comfort, safety and the sound operation of their AC repair, AC installation and AC service. Regardless what you require, W.F. Hann & Sons will customize everything to your precise specifications. Everyone knows how out-of-date and antiquated systems can be devastating to your environment and your pocketbook. This is why the W.F. Hann & Sons team will address any and all problems in order to improve your AC service functions in addition to reducing operational and ownership costs. Whenever Rocky River business owners and homeowners are looking for the best AC repair, AC installation or AC service, W.F. Hann & Sons is the only name they need to know. Rocky River, Ohio is located in the western portion of Cuyahoga County directly along the southern shores of Lake Erie. It has over 20,000 residents who call it home. W.F. Hann & Sons at 26401 Miles Road in Warrensville Heights is slightly more than 23 miles southeast of Rocky River. Rocky River residents recognize W.F. Hann & Sons’ NATE (North American Technician Excellence) certified technicians as the leading source of the finest AC installation and AC service and AC repair work. When Rocky River businesses and residents are contemplating buying a new cooling system, they can rely upon us for all their AC needs. Our exceptional crew possesses the skills and expertise to deliver its Rocky River clientele with an updated system that creates a healthier and cleaner environment for them in their homes or their offices. Furthermore, our AC installation will go a long way to saving them in energy as well as money. W.F. Hann & Sons is distinguished for not only meeting the expectations of its Rocky River clients, but in constantly exceeding them. When you place your AC repair work, AC installation and AC service needs in the capable hands of the professionals at W.F. Hann & Sons, you will always receive a fair and honest response. 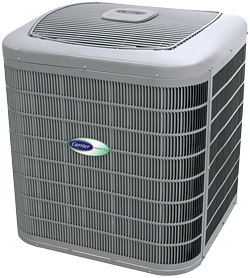 Our commercial and residential AC service, AC repair and AC installation are unmatched in the industry. W.F. Hann & Sons technicians are acknowledged for always placing our clients first and foremost in everything we do. Plus, our technicians are fully licensed, insured and factory-trained experts. Not only will we fit into your schedule, but we will protect your property by wearing foot coverings, using drop cloths, disposing of the waste besides removing all of our AC service equipment. Clients know they will receive only the most professional AC installation, AC repair and AC service maintenance from W.F. Hann & Sons. If you are faced with an emergency, be assured that W.F. Hann & Sons is available 24/7 at: (216) 831-4200. For scheduled appointments, you can also call the same number: (216) 831-4200 for the best AC comfort and reliability. We look forward to serving all of your AC installation, AC repair and AC service needs.